Personal Training and Nutrition Coaching from a private gym in Cheadle, Cheshire. I managed to get my hands on a Go Pro Hero 4 for a week and set about filming some of my PT sessions and classes – with my clients permission obviously – and creating a video for my website. I wanted to showcase what Cheadle Personal Training is all about and some of the things I work with clients on. I offer one-on-one and group personal training sessions from a private gym in Stanley Green, which are a bit different from what you may have experienced previously. Take a look at the end results below and if you like what you see and want to try something different get in touch today. As a PT at Fusion Gym I run two classes a week, All Out Strength on a Wednesday at 6:30am and Spartan Training on Thursday at 7pm. Classes are free to Fusion Gym members and £8 for non-members. If you are interested in trying a class get in-touch. You can view the class timetable here. Well what a difference a few years make. This time two years ago I had been sat behind a desk for over decade, was frequently over indulging and following a couple of bad football related injuries had pretty much gave up exercising. 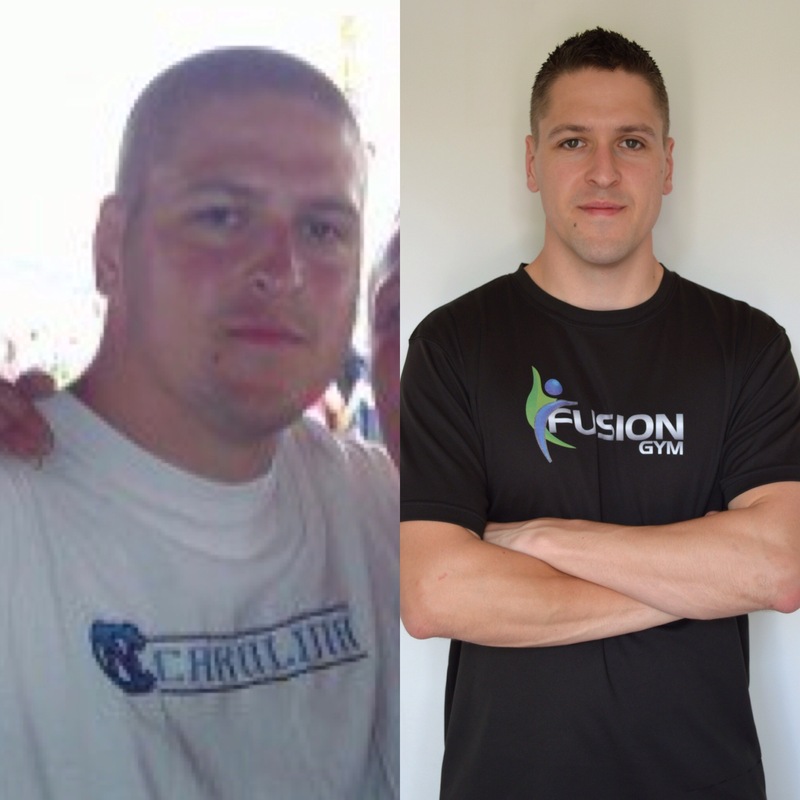 So I decided to do something about it…I hit the gym, changed my diet and as a result lost over two stone in weight. I felt better than ever and decided I enjoyed training so much I wanted to making a career out of it so I’m now a fully certified personal trainer! If you are interested in making a similar change please feel free to get in touch. 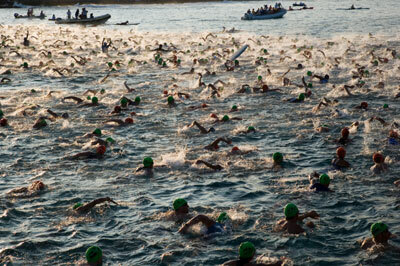 An Ironman Triathlon is about as tough as it gets. This long-distance triathlon race consists of a grueling 2.4-mile (3.86 km) swim, a staggering 112-mile (180.25 km) bicycle ride and then a full marathon 26.2-mile (42.2 km) run… in a row… without a break. So how do you prepare for what is widely considered one of the most difficult one-day sporting events in the world? Training for one these events requires months in some cases years of hard work and dedication to deliver the desired results. Luckily for me I am not partaking in an Ironman event, however I do know somebody who is and I was fascinated to discover what it took to prepare for the event. Any endurance event, particularly one that covers over 140 miles, requires dedicating a serious amount of time to training, put simply the more time spent swimming, cycling and running consistently the greater improvement when the race comes around. That said some time spent in the gym to focus on some strength and core work can be built into any training schedule to help reduce the risk of injury. Developing a training schedule around your own lifestyle is essential and will significantly increase adherence, support from family, friends and training partners can give you a massive boost and is often cited as one of the most important factors (basically get the husband/wife on-board first). Fail to prepare…prepare to fail, sometimes the best laid plans sometimes come to ruin, so always have a back-up so that you can adapt your training or nutrition to work around schedule. No training training should ignore nutrition, it is vital to ensure you fuel your body correctly through grueling training sessions and allows your body to recover and adapt faster. Seeking advice or researching nutrition is therefore essential to ensure you understand what you are putting in your body and how to fuel it. It’s far from easy, but with preparation and a bit of iron will, this true test of endurance can be completed. Why use a personal trainer? The stereotypical image of a PT is that of an individual screaming at their client, pushing them to within an inch of their lives. The truth could not be further from this, most adopt a caring and non-judgemental approach that can help put a client at ease and make the whole experience an enjoyable one. Ever struggled to stick to an exercise plan on your own? A personal trainer makes you accountable for you actions, meaning you are likely to stick to your plan. A PT is also accountable to you and can provide constant feedback during sessions to help you get through sticking points. Developing a positive client-trainer relationship is fundamental to increasing motivation. correct technique is vital to prevent injury and ensure you get the most out of any exercise. Having somebody to observe and instruct you will allow you to learn the correct way to execute exercises and be confident to do them by yourself. All sessions are tailored to YOUR needs and goals! Want to run a marathon, lose weight for the big day or break through your plateau exercising on your own. A personal trainer can provide you with excercise programmes that are designed to help you achieve your specific goals whatever they may be. An overwhelming amount of information exists on health, fitness and nutrition, from the latest fad diets to the current fitness craze. A personal trainer can provide you with accurate and safe advice based on accepted industry standards and help you sort the wheat from chaff. Probably the most important reason… You can achieve results you can’t get by yourself with a Personal trainer, by setting and adhering to achievable fitness and nutrition goals you will be amazed at what you can achieve. If you are interested in personal training and nutrition advice why not get in-touch with Cheadle Personal Training.